Sennheiser EW 572 G3 Instrument SetInstrument set with cable emulator and silent configuration modus: EM 500 G3 true diversity receiver, SK 500 G3 bodypack transmitter, CI 1 instrument cable. Remote-controllable via "Wireless Systems Manager".OverviewYou have worked hard to achieve your signature to..
Audiocore WCM-6480U Wireless (8 Mic UHF PLL up to 512 Mic) The Audiocore WCM-6480 is built using the latest technology for Wireless Conference System, with high end wireless modules and phase lock-up frequency to ensure the clarity of the signal and interference-free audio. 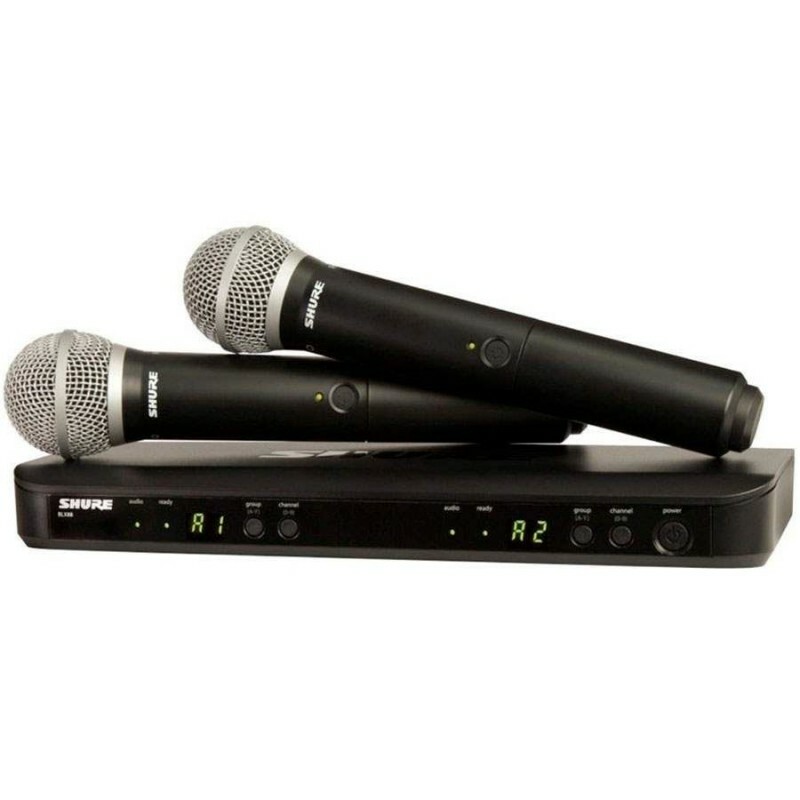 This product is su..
Sennheiser SKM 9000 Handheld TransmitterSKM9000 sangat kompatibel dengan semua kapsul mikrofon dari seri nirkabel G3 dan 2000, termasuk kapsul Neumann KK 204 dan KK 205. Seri terbaru MD9235 adalah pilihan yang direkomendasikan untuk panggung bersuara besar. Adapun tiga jenis kapsul kondensor terbaru..